We send greetings to you from the Central Office of National English Honor Society. As the semester winds to a close, we want to thank you for your leadership, membership, and interest in NEHS. The growth of our organization continues to amaze everyone; proudly, we now stand at 1,043 chartered chapters! With growth, however, comes the need to accommodate for the sheer volume of members we have. 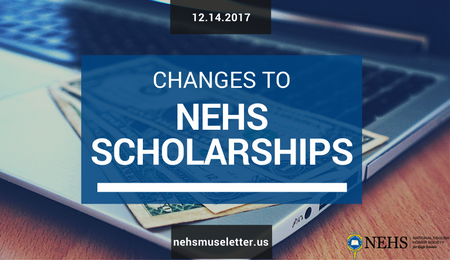 The needed changes include new submission requirements for the scholarship processes. 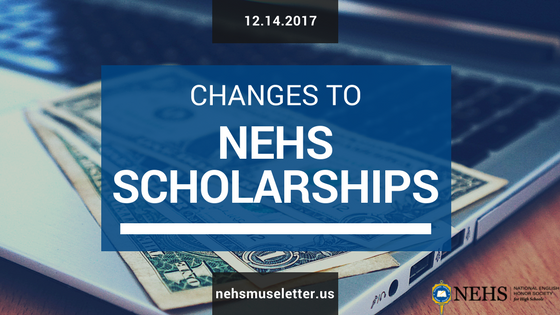 As the scholarship application window opens for NEHS seniors, we want to alert you to changes in the process of submission for both the Merit Scholarships and the Need-Based Scholarships. Because this new process will require candidates to respond to additional questions, giving reviewers further information about each candidate, it is important for all of you to become aware of the changes; in the past, many candidates have uploaded their essays at the last moment. Procrastinating to the end of the scholarship “window” will prove problematic this year. Applications for both categories of scholarships will utilize the AwardSpring submission system. Directions have been added to the scholarship pages on our website, www.nehs.us, for reference. Candidates should follow the step-by-step procedures as they complete the requirements and ultimately upload all materials by the deadline of January 16, 2018, at 12:00 noon, CST. Candidates for Merit Scholarships must respond to one of the essay prompts provided for the Common Reader, On Canaan’s Side by Sebastian Barry. In addition, the candidates will find three other short answer questions within the AwardSpring system that must be answered before the scholarship process is complete. These additional questions will help reviewers gain insight into the candidates; responses will be evaluated and points will be awarded for each as part of the scoring process. Candidates for Need-Based Scholarships must submit narrative essays outlining their unique circumstances leading to the need for financial assistance. Students should read the content requirements for the narrative carefully to ensure the writing includes all details as outlined. 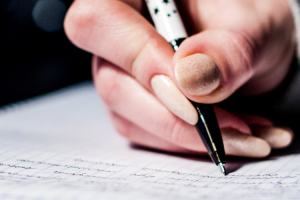 Candidates will be evaluated on the quality of writing as well as content. Additionally, a letter of recommendation from the NEHS Chapter Advisor must be uploaded along with a letter of confirmation from a school official confirming the need-based status of the applicant. Each of the letters will be reviewed and points will be awarded as part of the evaluation process. Incomplete scholarship packets will not be evaluated. 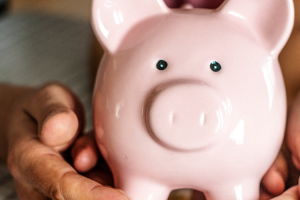 Candidates for this category of scholarship will also respond to the same three questions as the Merit Scholarship candidates; however, points will not be awarded to these responses in the initial phases of review. Rather, the NEHS Advisory Council will take these responses into consideration before final decisions are made about awards. Please direct any questions concerning these new procedures to nehsapply@niu.edu.